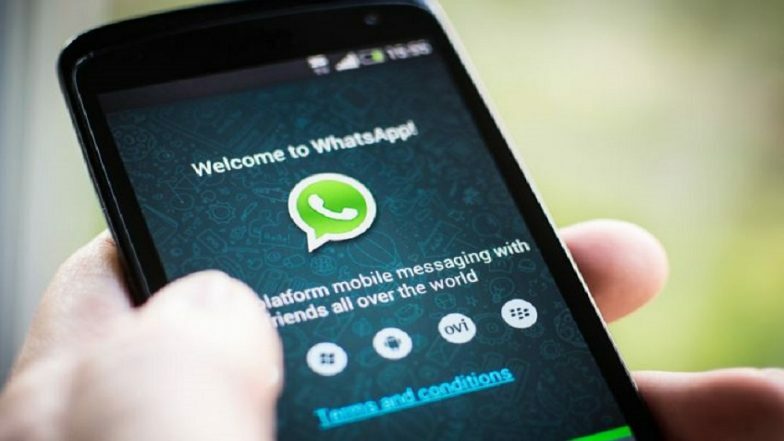 WhatsApp, the leading instant messaging platform is reportedly working on a new authentication feature wherein the users will be able to block chat screenshots. This will be possible when the fingerprint authentication feature is enabled on Android phones. We already know that the company has been working on this particular feature for quite some time now. However, we are still awaiting a stable update for the same. New WhatsApp Features: Top 5 Features That Might Be Rolled On WhatsApp This Month. As per the report from WABetaInfo, the Facebook-owned company is looking to introduce a new function to the new authentication feature which will block the users from taking any screenshots during a chat when the authentication feature is enabled. With this new function, the users keeping the fingerprint authentication feature turned on, the WhatsApp Messenger will restrict the users from taking screenshots during chats. On the other hand, the users opting to keep the feature disabled, the other users will not be able to take the screenshot on the application. New WhatsApp Features: Fingerprint Lock For Chats & Audio Message Redesign Coming Soon For Android Users. It is important to note that this authentication feature is not yet available on the Android beta version of 2.19.106. Currently, the feature is still under development and it is expected to arrive to stable users soon. New WhatsApp Features in 2019: Top Features Coming To Platform This Year. The new Android Beta update also enables a new Doodle UI for the beta users offering two tabs to choose between Stickers and Emojis. The stickers can be grouped as 'Favourites' and 'Category' which will help the users to find the stickers easily. According to the report from WABetaInfo, the new doodle UI allow users to put stickers over the images, videos and GIFs before sending them in a chat. Already offered on the iOS version of WhatsApp, the Doodle UI also gets a search feature for finding the stickers.